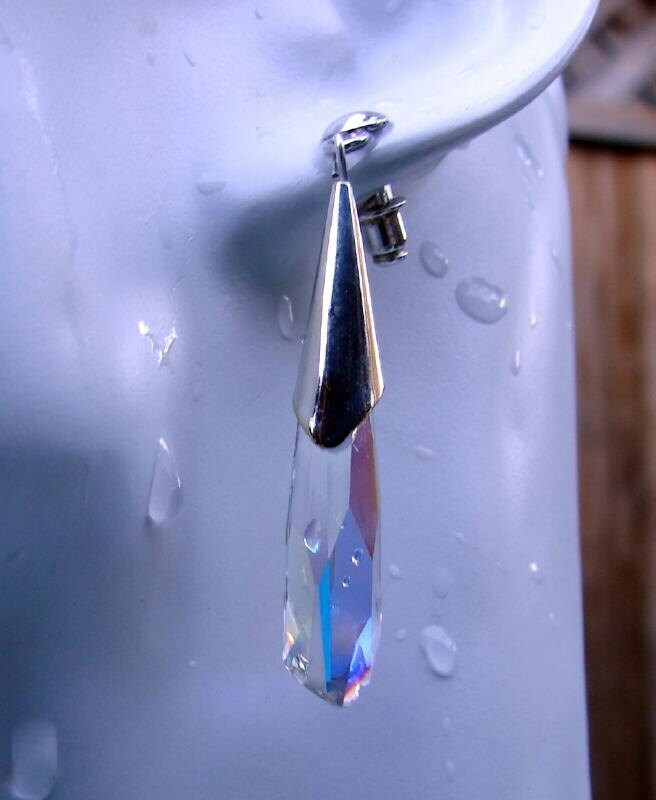 Swarovski Crystal Icicles with an opalescent finish attached to Sterling Silver posts and capped with a silver cone. Total length is two inches. 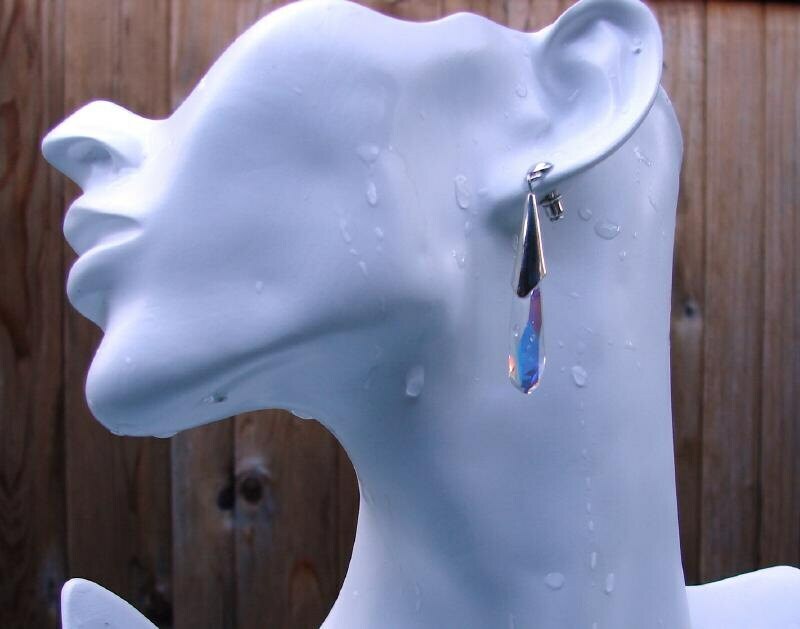 These can be done in A French ear wire also.